Ken has over 30 years of experience in television production, working as a cinematographer, editor, producer, director, teacher and advisor. He has been involved in a number of start-up businesses such as Blue Turtle Sound, an audio post facility; digg design, a new media content development firm; and Cheeky Monkey Entertainment, a traditional animation production company, amongst others. On a regular basis Ken acts as producer and executive producer and in recent years has overseen the production of a variety of documentaries and children’s series. Past credits include The Great March, Growing Up Canadian, Christopher Plummer: A Man for All Stages, Oscar Peterson: Keeping The Groove Alive, Secret Secretaries, Muneeza in the Middle as well as 52 episodes of the children’s series SPELLZ, 52 episodes of The Prime Radicals, and 100 webisodes of the award winning series MATHXPLOSION. Ken also acts as a service producer for outside productions coming to the National Capital Region to film, facilitating and overseeing all aspects of the production from creative to budgeting, including tax credit applications. As a consultant and trainer in Canada and overseas, Ken has consulted for CRA, DND, HRDC, Algonquin College as well as the Senate of Canada and various other groups and organizations. 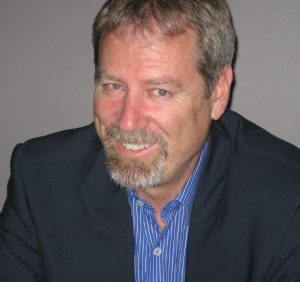 Ken has, along with partner firms, developed unique technical and creative approaches in bringing Canada’s history to audiences through the use of HD dramatic or docu-drama multi-screen productions in immersive theatres specifically designed for museums and exhibitions in Canada and around the world. Ken has significant experience with respect to non-profit and for-profit Boards. He currently sits as Chair for the Ottawa Film Office’s Film and Television Advisory Committee and is a member of the Ottawa Labour Marketing Committee and the CMPA Membership Committee. In the past, Ken has acted as Chair and Director of the Ottawa-Gatineau Film & Television Office, Chair of the Canadian Screen Training Centre, and Chair of the Algonquin College Radio & Television Advisory Board, amongst other associations.